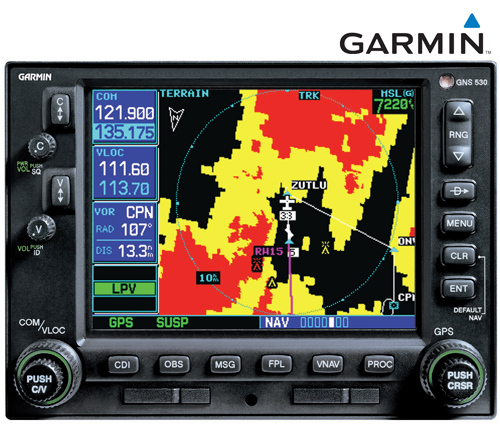 Learn to use the world’s most popular and best selling panel-mount GPS NAV/COM receiver, the Garmin GNS 430. Experience hands-on training using an actual TSO C129a certified Garmin GNS 430 receiver in a fully functional desktop workstation. The instructor will use various on-screen presentations and the PC-based Garmin GNS 430 simulator for demonstrations and then you will practice the procedures on the Garmin GNS 430 workstation giving you lots of experience with tactile learning. By learning how to effectively use the Garmin GNS 430 you will be able to easily apply that knowledge to using the Garmin GNS 530, any of the Garmin G1000 family of glass cockpit displays, and also the new Garmin GTN 650 and GTN 750 touchscreen navigators. During the early part of each day’s course you will learn the various functions and capabilities of these units. During the latter part of each day’s course there are several scenario-based training exercises for you to use your newly acquired knowledge to plan actual trips and put to use your new skills in programming the Garmin GNS 430. These Transport Canada approved courses allow pilots to meet the 24 month recurrency requirements of the Canadian Aviation Regulations paragraph 401.05(2)(a). For Canadian Air Operators, these courses may be approved by Transport Canada to meet the ground training requirements for use of GPS pursuant to the Canadian Aviation Regulations Subpart 702, 703 & 704, as well as Private Operators pursuant to Subpart 604. Course can be modified to meet your individual operational requirements. Check with your POI then Contact Us directly. Click here to Register and securely pay on-line using PayPal. The Level I course introduces you to the Garmin GNS 430 for radio communications and VOR navigation operations. The fundamentals of the Global Navigation System are explained and how the system is used in aviation. Next is a discovery of the many and various flight management capabilities of the Garmin GNS 430. This includes exploring and using the extensive database of operational flight information that you would normally reference on navigational charts or in the Canada Flight Supplement. The course continues with Direct-to Navigation, Flight Planning for VFR Navigation, and the many other features and operational capabilities of the unit. These features provide you with information that will enable you to make better operational decisions and enjoy safer flying. The Level II course involves exploring all features and capabilities of the Garmin GNS 430 and how you may use them to enhance flight operations. IFR operational capabilities are introduced such as checking the database for current IFR procedures, flight planning to meet specific IFR clearance requirements and checking RAIM prior to departure or approach. You will learn how to create flight plans that include procedures for departure, arrival and approach, and for the GNS 430W the WAAS LPV approaches and LNAV+V approaches. Changes by ATC are part of normal operations and you will learn how to handle such changes during the various phases of flight. Prerequisites: Garmin GNS 430 Level I – VFR Navigation or significant operational experience using a Garmin GNS 430 or GNS 530. Seating is limited so pre-registration is required to reserve your position on the course. You may register for the course by completing the on-line registration form in the link below. Please be prepared with your pilot licence number, class of flight instructor rating, and valid-to-date. You may pay in advance by mailing a cheque today to NavPath Aviation Ltd. or you may conveniently pay on-line with PayPal.